Make fuel, desalinate water and so much more! Still is unpolished but polishing paste will be included. 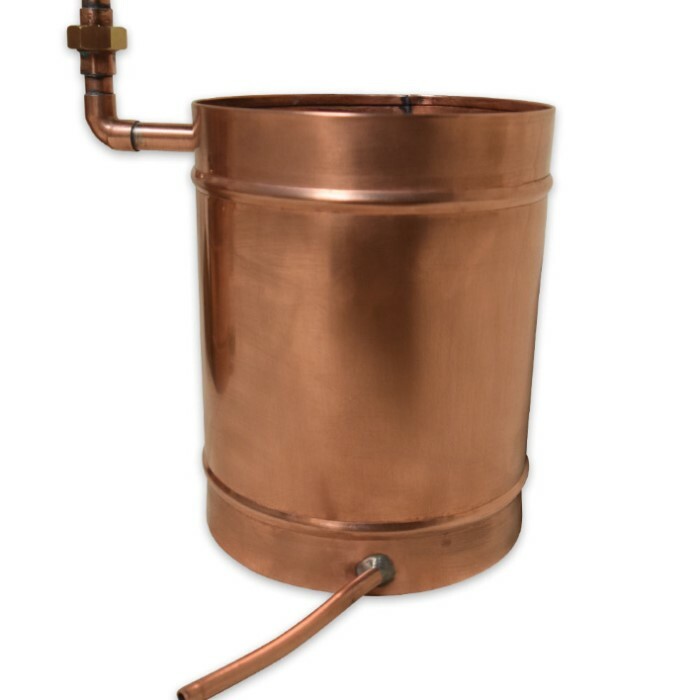 This is the best time to buy your own natural survival tool - the 6-Gallon Distillers’ Copper Still. This distillers’ unit produces so much more than just moonshine. Use it to desalinate saltwater and purify freshwater; make essential oils, perfumes and antiseptics; make marinade for meats and poultry; and even manufacture ethanol fuel to run engines or heat your home. 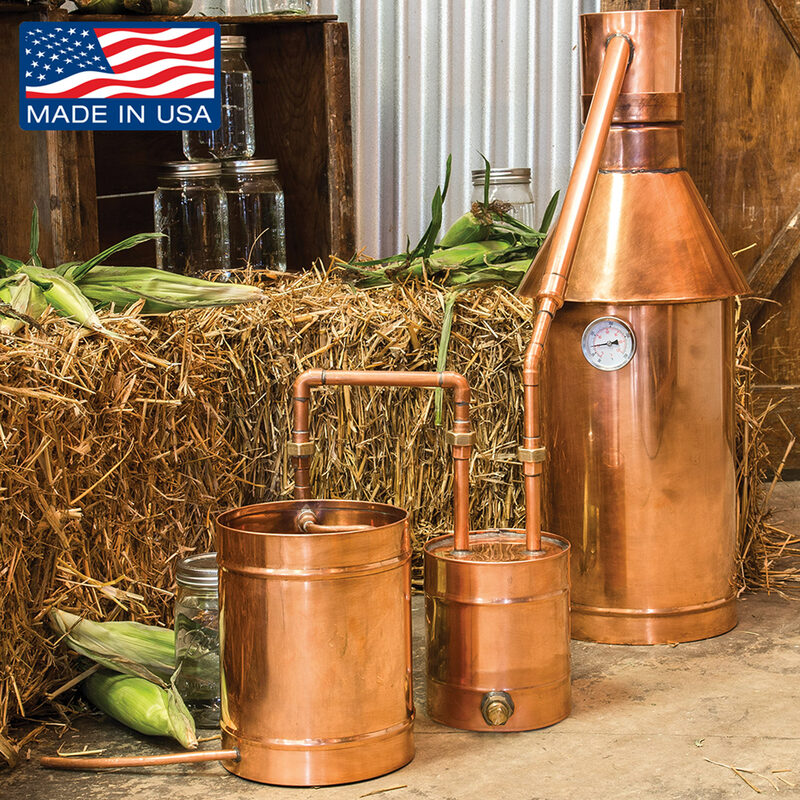 Handcrafted to perfection, using thick 22-gauge sheet copper and lead-free solder, this still is built to last. Due to the handcrafted nature of this product, it could take up to 4 weeks to ship directly from the manufacturer to your door. 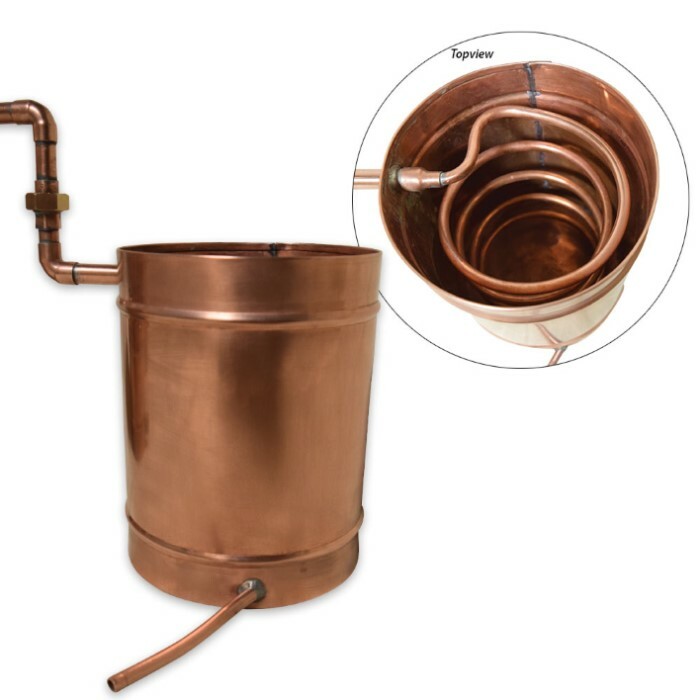 This is a ready-to-use, complete kit which includes the pot, thumper, worm and cap with a temperature gauge. Unbelievable Craftsmanship! I bought a still over a year ago and could not be happier. I even figured out who made the still and called them direct and they helped me one on one. what a great experience! The Still is top notch. Thanks CH! I'm making white lightning tonight!